IPSA HYDRO is one of a total of 6 organisational units of IPSA Institute Sarajevo, which was formed from the former Water Engineering Bureau during the process of planned restructuring of the Designing Institute. The IPSA HYDRO Department is oriented towards developing study, planning and design documents for all design levels, as well as towards engineering and consulting in various fields of water engineering. We strive to be one of the leading consultants as far as the quality of services is concerned, as well as a reliable, responsible and desirable partner for cooperation, thus bettering the quality of life. Our permanent staff is for the most part composed of graduate civil engineers, specialised in water engineering, ranging from experienced experts acting as chief and responsible designers to junior and perspective staff members acting as associate designers and researchers in their specific disciplines. In line with the requirements of specific projects and the services we provide, we have both short-term and long-term cooperation with numerous experts of other profiles within and outside IPSA Institute, i.e. leading local and international partners. Apart from the major qualities of IPSA HYDRO – expertise, reliability and quality of services – the significant advantage that we have over our competition is the surrounding of IPSA Institute, which through internal coordination and unlimited access to the knowledge and experience of other divisions enables the production of comprehensive and aligned designs and provision of full consultancy services in all areas. 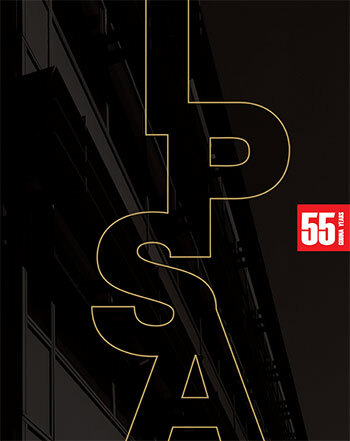 Drawing from 50 years of experience of IPSA Institute in developing numerous studies and designs, as well as from the knowledge, capabilities and objectivity of its employees, IPSA HYDRO is able to render quality design, engineering and consulting services in various areas of hydraulics and water engineering, environmental protection and waste management. expert technical and design supervision of construction works.